David Josué Jiménez Silva ([daˈβið ˈsilβa]; born 8 January 1986) is a Spanish professional footballer who plays for English club Manchester City and the Spain national team. Silva plays mainly as an attacking midfielder but can also play as a winger or second striker. He is predominantly a left-footed player. 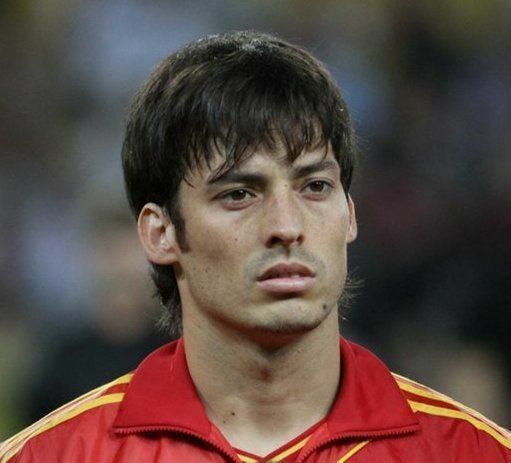 Silva spent six years of his professional career with Valencia CF, appearing in more than 150 games and winning one Copa del Rey in 2008, before moving in the summer of 2010 to Manchester City. His passing ability and possession-retaining qualities have earned him the nicknames "Merlin" and "El Mago" from his team-mates and fans, and he is considered to be one of the best players in the world in his position. Since joining City, Silva has appeared in over 300 matches and is in his eighth season at the club. He has won the FA Cup, two Football League Cups and two Premier League titles. A Spanish international since the age of 20, he is one of eleven Spanish players to have amassed 100 caps and was an integral member of the squads that won three consecutive international tournaments — UEFA Euro 2008, the 2010 FIFA World Cup, and UEFA Euro 2012. Silva was born in Arguineguín, Gran Canaria, Canary Islands, to Fernando Jiménez, a former municipal police officer who eventually was responsible for the safety of the Valencia CF stadium, and Eva Silva. His father, Fernando, is Spanish (Canarian) while his mother, Eva, is of Japanese descent, claimed by the Canarian media. Silva began playing football in the youth team of UD San Fernando, near Maspalomas. Originally, he played as a goalkeeper, before becoming a winger and mirrored his game around his footballing idol as a youth, Michael Laudrup. When he was 14, he received an offer to become a youth player at Valencia CF, which he accepted. He stayed in Valencia's youth set-up until he was 17. A product of Valencia's youth system, Silva made his professional debut in 2004–05, with Segunda División's Eibar, while on loan from Valencia, playing 35 league games and scoring on five occasions. In the following season, he was again out on loan, this time to Celta de Vigo, where he played 34 matches, scoring four goals. After two late substitute appearances, the first in a 2–0 home win over Málaga on 28 August 2005, Silva finished as an undisputed starter as the Galician side reached the UEFA Cup straight from the second-tier. Silva returned to Valencia in the summer of 2006, becoming an automatic first-choice despite his young age of 20. In two seasons combined, he only missed six matches and netted 14 goals, his first league goal coming on 5 November 2006 in a 1–1 draw at Espanyol. In August 2008, he extended his contract by five years, amidst interest of several Premier League teams. He won the Copa del Rey 2008, his first title in Spain. After not appearing in the first three months of 2008–09 due to a chronic ankle ailment, Silva returned to the call-ups in mid-December. On 3 January 2009, he scored twice in a 3–1 home win over Atlético Madrid, still contributing with 19 matches (four goals) as the Che qualified for the Europa League. In the 2009–10 season, Silva scored a career-best eight goals, as Valencia finished in third position and returned to the UEFA Champions League. On 15 April 2010, he scored a brace against Athletic Bilbao for a 2–0 home win, adding three assists in the 4–4 thriller at Werder Bremen for the Europa League's round of 16. 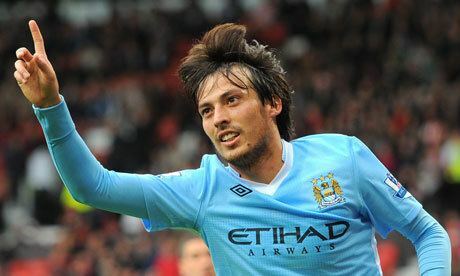 On 30 June 2010, Manchester City announced that they had reached an agreement with Valencia over the transfer of Silva and that he would join the club on a four-year deal, prior to the start of the 2010–11 season. 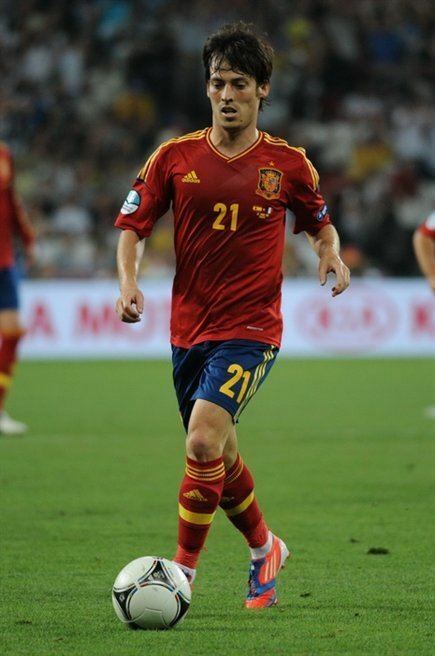 On 14 July, the Premier League side completed the signing and Silva was awarded the number 21 shirt, the same number he wore for Valencia and when playing for Spain. Manchester City had previously tried to sign Silva and his Valencia teammate David Villa in 2008, but were put off when Valencia quoted a £135 million combined price tag on both players. City manager Roberto Mancini mainly deployed Silva as a winger and later in a trequartista role in his first season. Silva made his Premier League debut on 14 August 2010 in a 0–0 draw against Tottenham Hotspur at White Hart Lane. He scored his first goal for the club on 16 September, eight minutes into the Europa League group match against Red Bull Salzburg. On 17 October, he scored his first league goal in a game against Blackpool, netting City's third goal in a 3–2 away win. In a 3–1 home win in the Europa League against Lech Poznań, he set up two goals for Emmanuel Adebayor. He made another assist slipping through Adam Johnson for Manchester City's third in a 3–1 away win against West Ham United. Erroneous media reports emerged suggesting Silva could return to Spain and cited homesickness and difficulty to adapt to the English game. His performances, however, impressed City supporters and earned him three consecutive Manchester City Player of the Month awards from October to December 2010. On 12 February 2011, he was credited for the equalising goal in the 2–1 loss to rivals Manchester United when an Edin Džeko shot deflected off his back and into the net. On 2 March, he scored from 20 yards out in an FA Cup win (3–0) against Aston Villa. Three days later, he scored the only goal in Manchester City's win against Wigan Athletic. 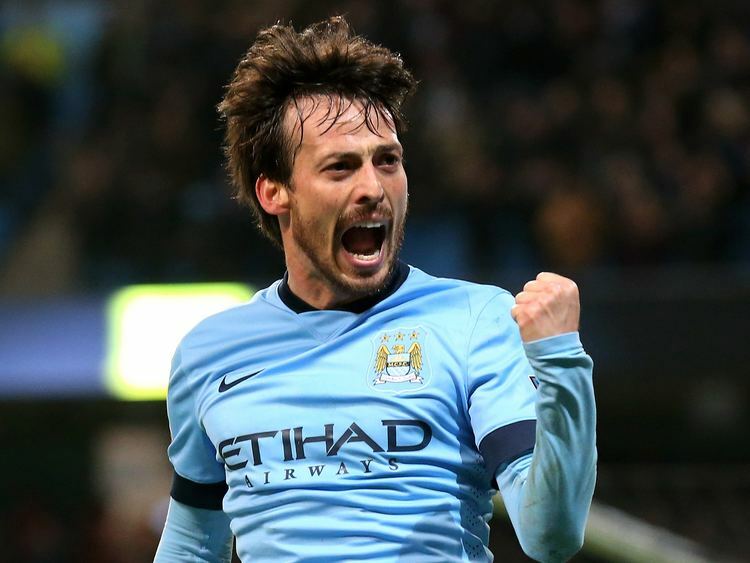 Silva netted the third goal in City's 5–0 rout of Sunderland on 3 April. His assist to Yaya Touré against Everton at Goodison Park took Silva to 15 assists in all competitions for the season. Following his debut season in the Premier League, Silva emerged as one of the league's finest playmakers. Carlos Tevez lauded him as "the best signing we [Manchester City] have made." Silva began the 2011–12 season in fine form, scoring the third goal in City's 4–0 thrashing of Swansea City and was voted man of the match. He also scored the following week against Bolton Wanderers, and was again named man of the match. Silva then set up two of Sergio Agüero's three goals in City's second home game against Wigan Athletic. After a series of magnificent displays from Silva, City boss Roberto Mancini compared him to fellow Spain internationals Xavi and Andrés Iniesta and said that Silva is "one of the best players in the world." On 1 October, Silva was awarded the Premier League Player of the Month for his outstanding performances, making it the first time ever that two Manchester City players have won the award in back-to-back months with Edin Džeko winning it the month before. In the first Manchester Derby of the season at Old Trafford, Manchester City won 6–1, with Silva proving, yet again, to be instrumental in the Manchester City attack, scoring the fifth goal, setting up Edin Džeko's second with a chested volley pass through the United defense, and participating in the first two goals with excellent passing to James Milner to assist Mario Balotelli. On 25 October 2011, in an interview with a Spanish radio station, Silva revealed that he turned down Barcelona and Real Madrid so he could sign for City, and that he wants to stay at the club for years. He commented, "Madrid and Barcelona are great teams, but I'm happy here and I would like to stay here for many years." Former City and England defender Earl Barrett said he is almost impossible to stop due to his ability to create space and Andy Cole, who mostly played for Manchester United, has stated that Silva "is a joy to watch." Silva scored a goal in City's 3–2 away win against Queens Park Rangers on 5 November and also scored in City's 1–0 home win against Arsenal on 18 December. He also contributed by scoring the fourth goal in City's 4–0 home win against West Bromwich Albion on 11 April 2012. In addition to winning his first Premier League medal with Manchester City, he also finished the season on top of the assists table with 15 assists to his name and was one of four City players who made it in the PFA's Premier League Team of the Year. 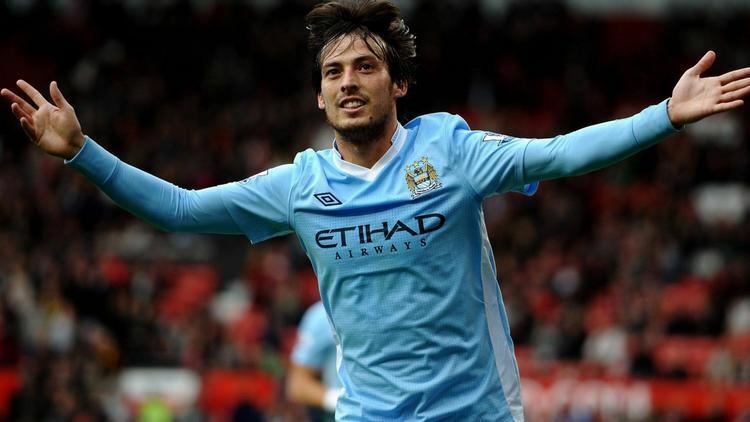 On 17 September 2012, Silva signed a new five-year deal at City, committing himself to the Etihad Stadium until 2017. He injured himself playing for Spain, which meant he had to miss four games for Manchester City. On 11 November, he provided the crucial assist, a lofted through-ball, to striker Edin Džeko, who converted in the 88th minute to steal a 2–1 victory over Tottenham Hotspur. His first league goal of the season came in a 5–0 thrashing of Aston Villa at home in the very next league match, on 17 November. On 19 January 2013, Silva scored twice against Fulham at home in a 2–0 win. On 9 March, he scored the fifth and final goal in Manchester City's 5–0 win against Barnsley at the City of Manchester Stadium in the quarter-finals of the FA Cup, sealing progression to the semi-finals. He finished the season with four goals and ten assists in 32 league appearances for a City squad that finished runners-up to city rivals Manchester United for the Premier League title. On 19 August 2013, Silva scored Manchester City's opening goal of the 2013–14 Premier League season in a 4–0 win against Newcastle United at the City of Manchester Stadium. On 10 December 2013, he scored his first Champions League goal of the season in a 3–2 win at champions Bayern Munich. He was named Manchester City's Player of the Month for March 2014, after scoring in away matches against Hull City and Arsenal. 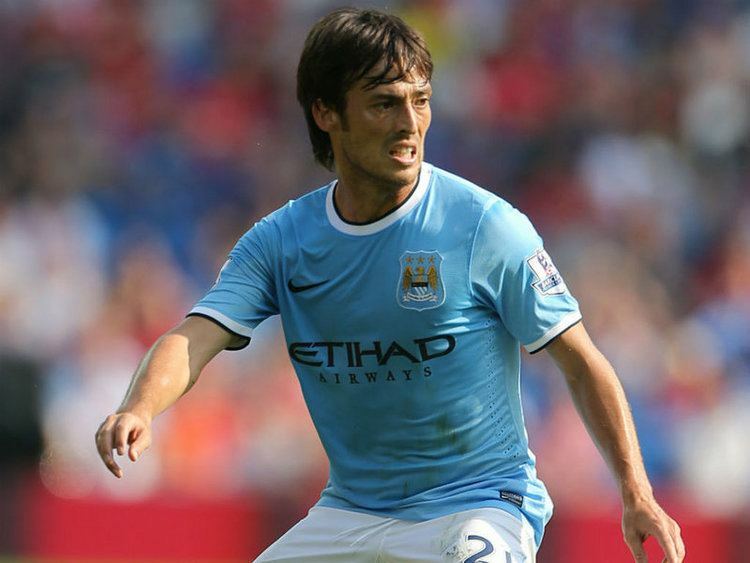 On 10 August, Silva played in the 2014 FA Community Shield, a match City lost 3–0 to Arsenal. Two days later, he signed a five-year contract extension with City. Like the previous season, on 17 August, Silva scored Manchester City's opening goal of the 2014–15 Premier League season in a 2–0 away win against Newcastle United. Silva then scored against West Brom on Boxing Day. On 21 February 2015, Silva scored a brace against Newcastle United in a 5–0 win. He won the Etihad Player of the Month award for his performances in February. On 4 March, Silva scored in 1–0 win against Leicester City to take him to ten league goals in a season for the first time in his career. Jamie Redknapp labelled him a "maestro" for his performances for City, while his teammate Edin Džeko called him "the best player in the Premier League." On 19 April, in a 2–0 victory over West Ham, Silva was caught in the face by the elbow of Cheikhou Kouyaté, requiring eight minutes of treatment before being substituted for Samir Nasri. Tests confirmed that he had not fractured his cheekbone. On 10 May, Silva scored a goal in City's 6–0 win over Queens Park Rangers, which resulted in the latter's relegation. In the opening match of the Premier League season, in a 0–3 win at West Brom, Silva delivered a performance his manager Manuel Pellegrini labelled "unbelievable". As well as assisting the team's third goal, Silva was later credited with the first goal. After contributing another three assists for the team in August (in wins against Chelsea and Watford), Silva was nominated for both of the Manchester City and Premier League Player of the Month Awards for August, winning the former. 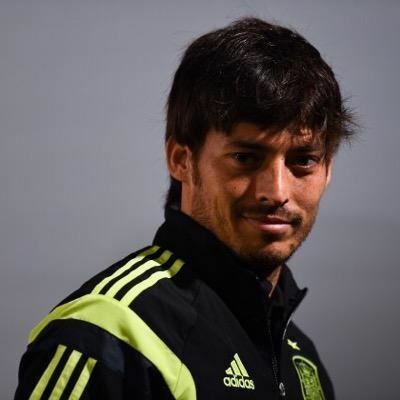 Silva was injured for most of October and November after picking up an ankle injury, while playing for Spain on 9 October. He made his return, as a 75th-minute substitute, in a 3–1 league defeat of Southampton on 28 November. He netted the opener in the last UEFA Champions League group stage match on 8 December, in a 4–2 home defeat of Borussia Mönchengladbach, which resulted in Manchester City topping their group for the first time. Silva provided another three assists in home victories against Tyne-Wear rivals Newcastle United and Sunderland. In a 4–0 home league win against Crystal Palace on 16 January 2016, Silva scored one, set-up another two goals and played a key pass in the remaining goal. Silva started the 2016 Football League Cup Final on 28 February, as Manchester City defeated Liverpool 3–1 on penalties, winning his second League Cup with the club. He claimed another brace of assists in a 4–0 home defeat of Aston Villa six days later. After scoring 8 goals in 44 appearances and providing numerous assists, Silva won his first Etihad Player of the Season award for his outstanding contribution, as voted for by Manchester City fans. Silva first represented Spain in the 2003 FIFA U-17 World Championship in Finland, scoring three goals. In 2006, he became an under-21 international and scored four goals during the 2005 FIFA World Youth Championship; this was enough to earn him joint-fourth place in the goal ranking, alongside Italian striker Graziano Pellè. Silva made his senior international debut in the 1–0 friendly home defeat to Romania on 15 November 2006, and continued to receive call-ups to the side after good contributions in his first games. On 22 August 2007, he scored his first two goals for Spain, netting twice in a 3–2 friendly win versus Greece, and was then called up to the squad of 23 for UEFA Euro 2008. In the semi-finals game versus Russia, Silva scored the third goal for Spain after a quick counter-attack in which Cesc Fàbregas delivered a low cross, and he sent the ball into Igor Akinfeev's goal with his left foot. In the final, he was involved in an incident with Germany's Lukas Podolski. After he pulled Podolski to the ground, the German approached Silva, which resulted in an angry exchange of words and a coming together of heads that the referee decided not to punish. Shortly afterward, Spanish coach Luis Aragonés substituted Silva for Santi Cazorla in an attempt to calm the tensions. After appearing regularly during 2010 FIFA World Cup qualification – Spain won all ten fixtures – Silva was also picked for the squad for the finals in South Africa. His participation was, however, a small one, as the national team won the tournament: he started in the first match, a 0–1 group stage defeat against Switzerland, then played the last four minutes of the 1–0 win against Germany in the semi-finals. On 11 August 2010, during an international friendly with Mexico, Silva scored two minutes into second-half injury time, ending the game with a 1–1 draw. In a Euro 2012 qualifier against Liechtenstein on 3 September 2010, Silva scored after 62 minutes, in a 4–0 away win. The following month, in the same competition, he scored through a rare header, as the national team downed Lithuania in Salamanca (3–1). In a friendly against Colombia on 9 February 2011, he came off the bench to score the game's only goal with just four minutes remaining, helping Spain to a hard-fought 1–0 win. He scored twice and provided one assist in Spain's 3–1 victory against Scotland in their final match of the Euro 2012 qualifiers. The win saw the Spaniards enter the tournament with a perfect qualifying record by winning all their group games. He scored the first goal in Spain's 2–2 comeback against Costa Rica, a friendly match where he came on as a substitute in the second half with Spain trailing 2–0. He once again scored in a friendly against Venezuela to make the score 2–0 in a match that ended in a 5–0 win. Heading into Euro 2012, he scored in their pre-tournament friendly against China by finishing off a short give and go from Andrés Iniesta in the 84th minute. 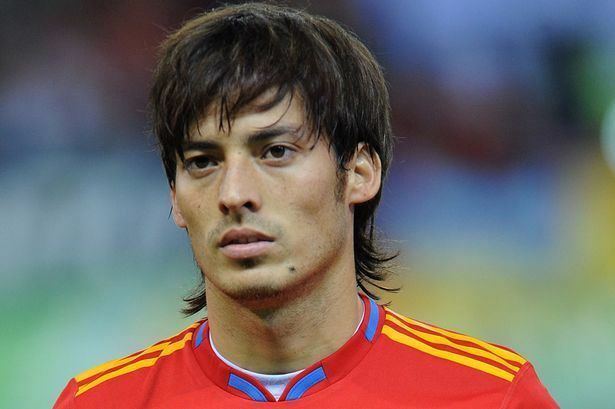 Silva was a starter in all six matches of Spain's Euro 2012 campaign. In the 14th minute of the Euro 2012 Final, he headed home a Cesc Fàbregas cross, giving Spain a 1–0 lead. The match ended 4–0 and concluded the tournament in which Silva scored two goals and made three assists, the best efficiency (goals and assists) of any player at the Euros. He was subsequently named in UEFA's Euro 2012 Team of the Tournament for his performances. Silva was named in Vicente del Bosque's 23-man squad list for Spain's contestation of the 2013 FIFA Confederations Cup, held in Brazil. On 20 June 2013, he scored two goals in Spain's 10–0 group stage demolition of Tahiti at the Maracanã. After being part of Spain's consecutive unsuccessful campaigns at 2014 FIFA World Cup and UEFA Euro 2016, Silva continued his goal scoring record under new boss Julen Lopetegui, scoring 9 times in 12 matches. A talented and agile left footed player, David Silva is known for having an excellent first touch, good dribbling skills, and outstanding technical ability, which, along with his intelligent attacking movements, allow him to retain possession in tight spaces, and to create space for himself and team-mates to open up a defence. Essentially a traditional number 10, his composure on the ball, as well as his vision, passing accuracy, ability to read the game, pick a pass, and control the tempo of his team's play have seen him become one of the best players in the world in his position, and earned him the nickname Merlin. Although he primarily serves as a playmaker for his team, he is capable of scoring goals himself as well as creating them, which enables him to be deployed in several offensive roles: he is usually fielded in a free role as an attacking midfielder, where he is given space to roam the pitch, but has also been used as a winger, as a false 9, or even as a second striker. As of match played 5 September 2017. Spain score listed first, score column indicates score after each Silva goal.